What is Global Partnerships in Innovative Advocacy? 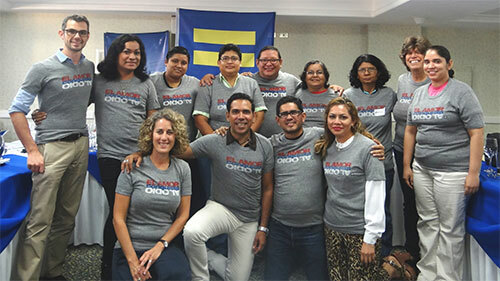 This is a HRC Global program that offers capacity-building and strategic planning partnerships to selected organizations that are working to improve the lives of LGBTQ communities in their countries. The goal of the partnership is to strengthen the equality movement in each partner country through more effective advocacy, campaigning, organizing and outreach. Based on decades of lessons learned in the U.S. and around the world, over a period of six to nine months we will provide a series of customized two-day workshops in-country, delivered by trained HRC staff and/or experts, to help organizations develop creative and innovative plans to move their programs and organizations to the next level. Working alongside each organization, community and its allies, we will travel to your country to deliver three workshops over the course of six to nine months, during which we will assess the opportunities you may have and share ideas and lessons learned from partners in the U.S. and beyond. We will help partners strategize on the best way forward, decide on a specific course of action, create comprehensive yet manageable plans to achieve desired outcomes and advise on how to resource, launch and implement these plans. Between visits, HRC will be available for periodic consultation by Skype or online. We will award three to five partnerships in 2018-19 following a comprehensive online selection process. These partnerships are open only to current and former HRC Global Innovators and HRC Global Fellows, and are an important way to build long-term engagement with our program participants and support their work. If you are interested in becoming an HRC Global Innovator, please visit hrc.im/GlobalSummit. 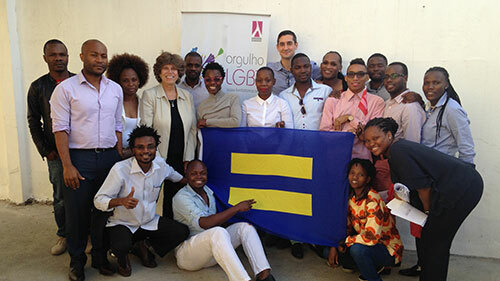 For information about how to become an HRC Global Fellow, please visit our Global Fellow page. What kind of organizations are you looking to partner with? Because these partnerships require a longer term commitment on both sides, we are seeking to partner with organizations that are established, that have a structure that can support a process of creating and implementing plans, that have accountability mechanisms and a successful track record of conducting innovative programs. We are seeking to partner with a diverse range of organizations, including geographic and regional, type of issues the organizations works on and diverse constituencies in the LGBTQ community served by the organization. What are some of the specific areas the Global Partnerships might cover? Applications will open in late April 2018 and will be accepted till the end of June. We will notify successful applicants in July, and in close consultation around timing and agendas, conduct workshops between September and March 2019. What kind of financial assistance do you offer? This is a capacity-building program. We cover all costs related to bringing HRC staff and/or experts to your country up to three times, conducting workshops (including catering and facilities as needed) and travel within the country. We do not cover costs of bringing participants to the workshops or per diems for them. We can work with you to help identify sources of funding for the plans you develop and to strategize about how to raise future funds. Will you remain involved after the Global Partnership is finished? We hope to stay connected to all of our partners. Depending on the program, we may establish an ongoing check-in mechanism that will allow us all to benefit from the experiences of the partnership. HRC has worked or is working with partner organizations on capacity building programs in Australia, Georgia, Ireland, Kyrgyzstan, Mozambique, Myanmar, Nicaragua, the Philippines, Turkey and Uruguay among others.